Thank you for visiting my blog, I really do appreciate it and hope you like the project and will take a look at the video tutorial as well. 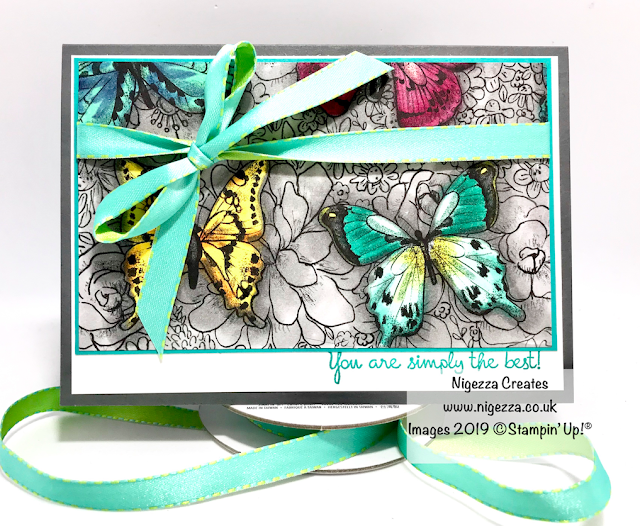 I am bringing you an extra video tutorial today because Sale-A-Bration ends at 10.50pm tomorrow (Sunday 31st March 2019) and there were a few things I wanted to do with the beautiful FREE Botanical Butterfly paper that I had not done yet. SO here it it, a bit of alcohol marker colouring on the stunning monochrome side of one of the sheets. 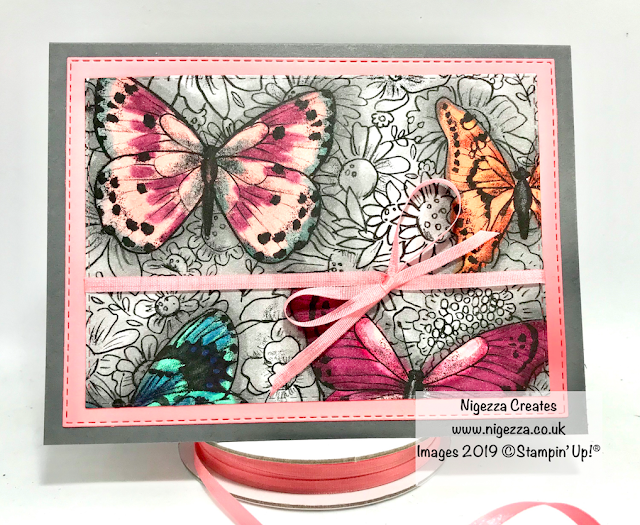 See others do this and just had to have a go. I do hope you like this and remember if you want the paper pack you must place a £45 order (before P&P) before the offer expires because once Sale-A-Bration is over you will not be able to get these papers again. 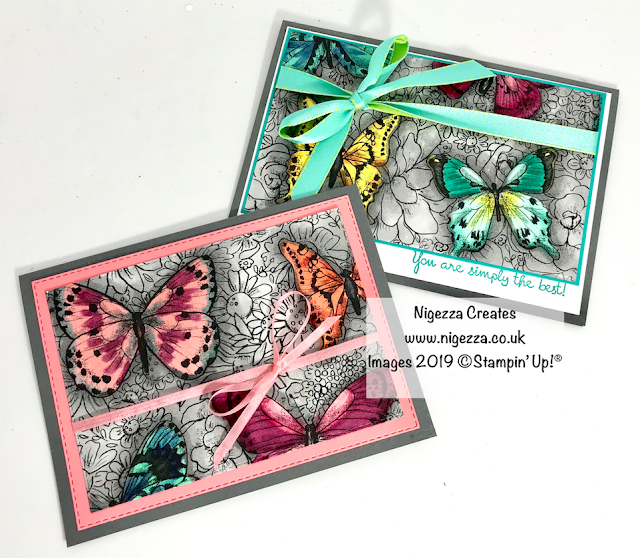 Both cards used a Basic Grey card base to pick out the background of the butterfly mat I coloured. Folded in half 4 1/8" x 5 7/8"
5 1/2" x 3 3/8"
5 3/8" x 3 1/4"
Folded sin half 4 1/8" x 5 1/2"
I again added some ribbon this time the Flirty Flamingo ribbon form the duo pack.